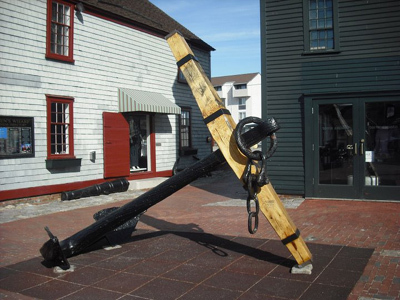 Bowens Wharf was the vital commercial port of thriving pre-revolutionary Newport Rhode Island. It is still commercially important today, and it plays a huge role in our culture, as you will see when you visit. 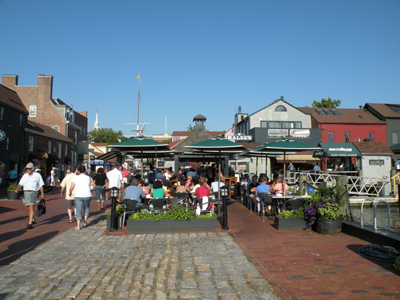 During Newport's golden era, people agreed that Newport harbor was better than most, including Boston's. It was more protected, and didn't freeze as often as others. Combine this with the British neglect at the time, and Newport was prospering as never before (or since). 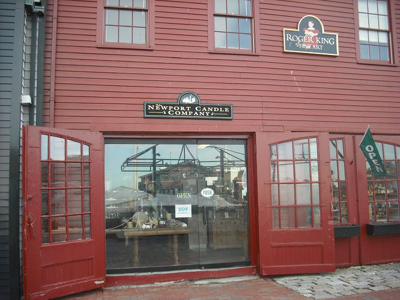 Newport's economy was entirely dependent on trade by sea, and Bowens Wharf was at the center of all the action. Unfortunately, we all know what happened next. 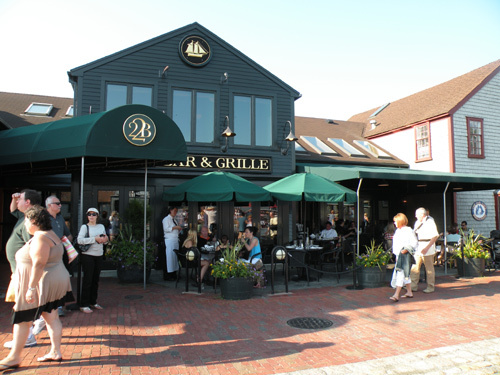 The Revolution and British occupation decimated the city, and Newport RI has never been the same since. 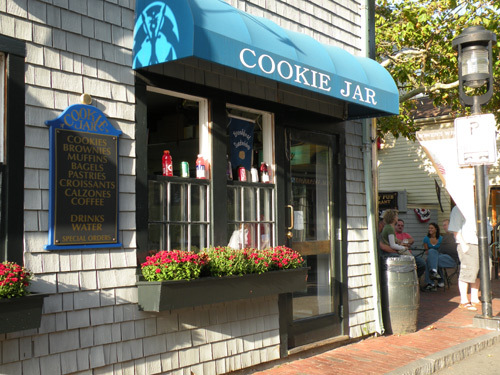 However, the "City by the Sea" has done a great job of restoring and maintaining many historic sites and structures, and is now a mecca for travelers looking to experience the city's rich history. This wharf is a great window into that past and history. The wharf not only offers tours, but ferry service and dinghy tie-up as well. 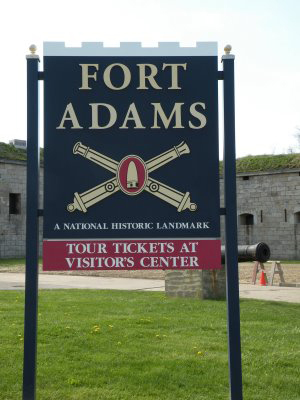 You can take the ferry to Fort Adams, Rose Island and Jamestown Village leaving from Bowen's Ferry Landing. There are many exciting events held here every year, some during the spring and summer, and some during the winter. 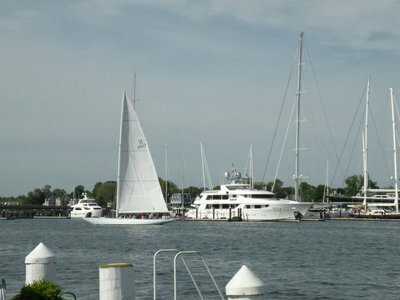 The Newport International Boat Show is held in September from 10am to 6pm daily. This show has many land displays and showcases Hinckley Yachts and many other amazing boats. Bowen's Wharf Seafood Festival is held toward the end of October. This annual event features the best seafood dishes of local restaurants, live music and fun activities for kids as well (balloons, face painting). 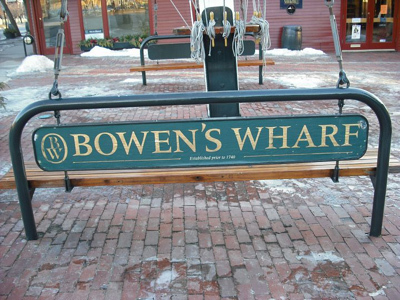 No matter what time of year you visit, Bowens Wharf always has something fantastic to see, do or eat. So be sure to put it on your to do list!